High school students that are looking to boost their college admissions chances may want to look at what extracurricular activities they pursue. Many students and parents think that quantity and variety are the most important factors regarding extracurricular activities on the student’s application. Think “well-rounded.” However, that is a misconception. College admissions counselors are much more concerned with what students do with those activities, not how many. In short, quality is much more important than quantity. It doesn’t matter what extracurriculars the student selects. What is most important is that the students are passionate and involved in those activities. Did they join the hunger awareness club just to add it to their resume, or are they organizing activities, raising funds, and volunteering their time to make a difference? Shirag Shemmassian, an educational consultant in San Diego, says that low-threshold activities are easy to join and easy to explain. They are less impressive to a college admissions counselor. Instead, students should focus on high-threshold extracurriculars, which are by their very nature hard to explain easily. “If I told you that there is a student who started a statewide network of art kit distribution to cancer centers, explain that,” Shemmassian said. For example, Shemmassian is working with a high school student, who loves both teaching children and art. She combined those two loves by creating an art kit for young children with cancer. She working with local hospitals to distribute these kits to children. Impressive, right? How much time is the student devoting to the activity? Extracurriculars that matter take time. The extracurricular activities a student lists on their application should be those that require the student to attend a meeting or contribute his or her time and energy. The student should not feel pressured to list every activity that he or she has ever signed up for in order to impress admissions counselors. In fact, they will see right through this false padding. Keep in mind the amount of time you have available to commit to the organization, but don’t let it have an impact on your grades, test scores, or your health. Time management is also a character trait that admissions counselors look for in your application. Taking a leadership role or founding a new organization shows that you are invested in the activity and took on some real responsibility. Propose a new project within the organization, volunteer to head up a committee, or organize a fundraiser. These all show that you have passion for the organization. How do you use the Common Application to explain your activities? The Common App has room to briefly include a long list of activities, but you should focus more on the quality of activities by using the comments section to share what the student did and how that shows the students’ involvement, passion, values, and character. If you need further help organizing your high school activities and setting goals for the future, conduct us to schedule a college planning consultation. High school juniors who are preparing to become seniors in the fall need to prepare for their last year of high school and upcoming work that goes into applying to colleges. Here is a list of things they can do this summer. Visit a few colleges: If possible, travel to a few top target colleges the summer after junior year to visit dorms, classes, and recreation centers. Make sure you contact the school first to schedule your visit. It isn’t the most ideal time, since normal classes aren’t in session, but it will give you some idea of whether or not the school should stay on your list. Know the deadlines for each of your target schools: Go to your target schools’ websites and start browsing the applications and find out the deadlines. Early decision and early action applications are typically due in November of your senior year, while most regular admissions applications are due between January 1 and March 1. Some colleges also have rolling admissions. Create a resume: Start recording a record of your academic accomplishments, extracurricular activities, and work experience. 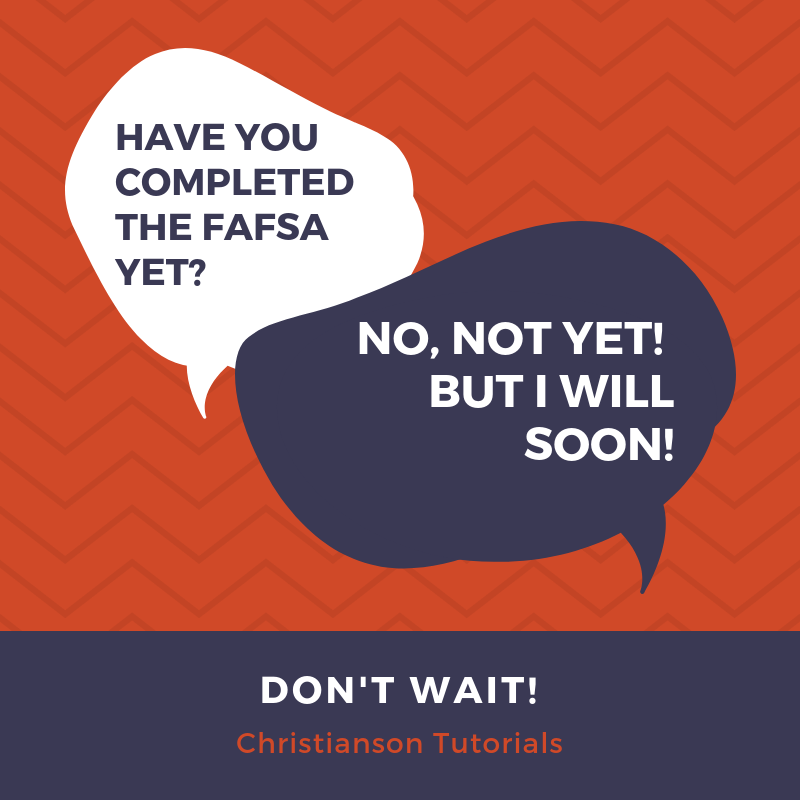 This will help you have everything ready when you begin applying for scholarships and filling out those college applications. Begin drafting college application essays: Your senior year can be very busy, so start drafting your college application essays now. Work with a tutor to improve your SAT & ACT scores: Did you take an SAT or ACT test in the spring and would like to get a higher score in the fall? Working with a tutor one-on-one this summer is a great way to boost your scores. 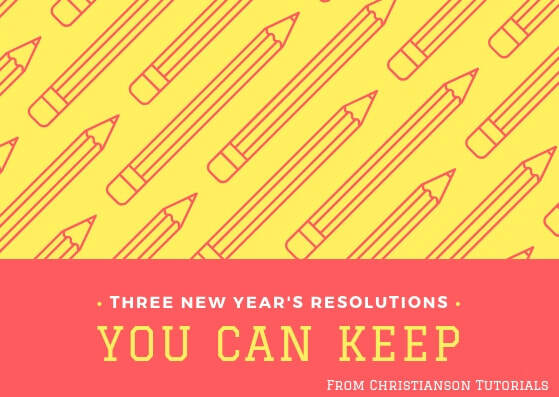 Christianson Tutorials can set you up with personalized tutoring at times that are convenient for you. Outline your financial aid plan: Visit your target schools websites and use their financial aid calculators to find the net price for that school. Hint: It isn't the sticker price you usually see on the admissions site. Or, talk to Christianson Tutorials, we can run a list of multiple schools at one time. The "net price" determines how much your family will need to contribute for your college education. Create a list of all the financial aid options you plan to pursue along with the deadlines for each. Apply for local and national scholarships: Many seniors apply to more than 30 scholarships. That can take time, but is worth every penny. Don't forget about local options or ones that require essays. Fewer students apply for these, so you often have a better chance. Begin applying between junior and senior year continue throughout the school year. Begin drafting college application essays: Senior year is very busy, so the summer after junior year is a great time to begin college application essays. At least take a few notes of what your target schools are looking for in their essays, and how you may want to respond. ​Jessica was born and raised in Chappaqua, New York. The daughter of an immigrant mother who arrived in the U.S. with nothing but a mission to escape poverty and a scholarship to attend college, Jessica has long understood the value and power of higher education. As we face an increasingly competitive, global economy, having access to a solid education and the opportunities it presents is more important now than ever. Jessica moved to Pennsylvania in 2004 to attend Swarthmore College, where she received her undergraduate degree in Economics and worked as an SAT/ACT tutor during her junior and senior years. After graduating in 2008, Jessica obtained her Series 7 securities registration and worked for Vanguard in Malvern as a licensed financial representative. Though it was a tumultuous time in the financial world, Jessica embraced the opportunity to educate clients in order to help them achieve their financial objectives. In 2011, she attended Temple University's Beasley School of Law and passed both the Pennsylvania and New Jersey bar exams upon graduating in 2014. She subsequently worked in a compliance role for JP Morgan for over a year and a half, before deciding to make a major change in her path, both personally and professionally. This quest led her back to her alma mater, where she currently works in Advancement, helping to manage their charitable planned giving and stewardship program. The highlights of this multi-faceted role are her regular interactions with alumni, parents, and friends of the college, who all share a deep appreciation for the skills and experiences afforded them or their loved ones by the college, and who wish to pay it forward to current and future generations of talented students. Shortly before settling in her position at Swarthmore, Jessica connected with fellow Swarthmore alum, John Christianson, and made a return to tutoring. She enjoys the unique connection and bond with each of her students, discovering their interests, and doing a deep-dive to ascertain their strengths and weaknesses. She is a strong proponent of testing strategies combined with honing strengths and shoring up weaknesses in order to maximize their results. Jessica is results-oriented, has worked with students of wide-ranging skills, and has never had a student do worse in a round of testing after working with her. In short, she lets the scores speak for themselves. All of these concepts are part of the added value Christianson Tutorials offers, setting it apart from a generic SAT/ACT prep course. If you are interested in working with Jessica or any of our other tutors, please contact us at (610)457-5288 or (308)760-0746. 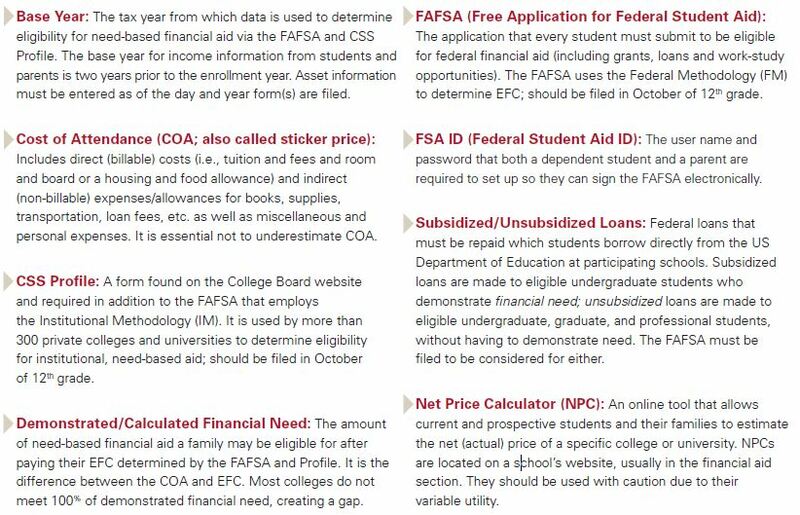 ©2013 and Federal Student Aid Glossary https://studentaid.ed.gov/sa/glossary. Do all the college choices overwhelm you and your high school student? Do you wish that you had someone to help narrow down your options and assist with figuring out the best financial aid package? An Independent Educational Consultant can help. 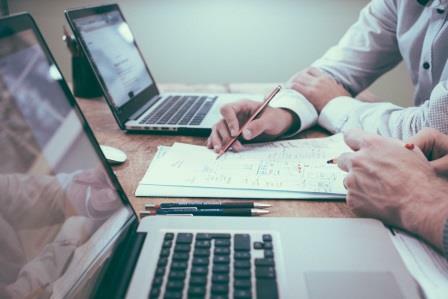 The Independent Educational Consultant Association (IECA) is a not-for-profit, international professional association representing experienced independent educational consultants. An IECA member educational consultant is a skilled professional who provides counseling to help students and families choose a school, college, or other program that is a good personal match: one that will foster the student’s academic and social growth. Independent Educational Consultants can provide a student and family with individual attention, firsthand knowledge of hundreds of educational opportunities, and the time to explore all of the options. Because they are not tied to any specific school or college, IECA member consultants are not burdened with unrelated duties, and are available at the family’s convenience - not just during school hours during the school year. 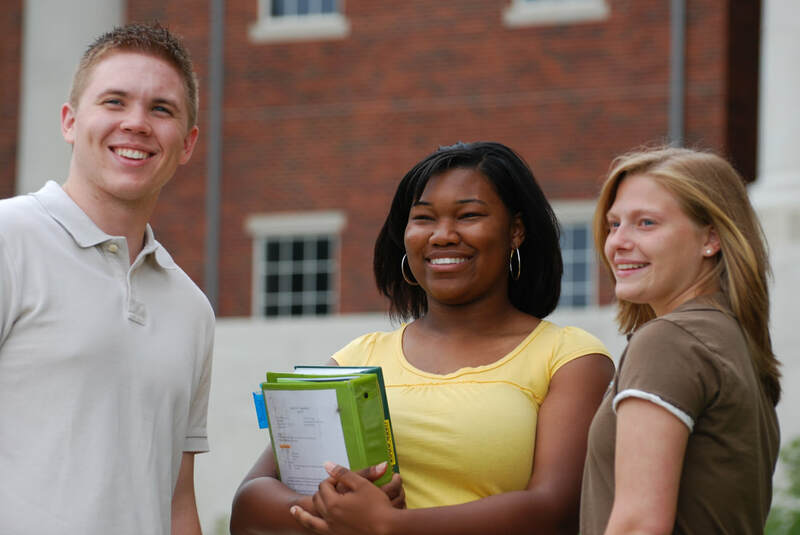 Give John or Amy a call to discuss how we can help you and your student with the college process.